Take a step into the magical frozen wonderland with this beautiful children's ring. Set with 18 clear sparkling Diamonlux™ Cubic Zirconias and one deep blue CZ in the center. 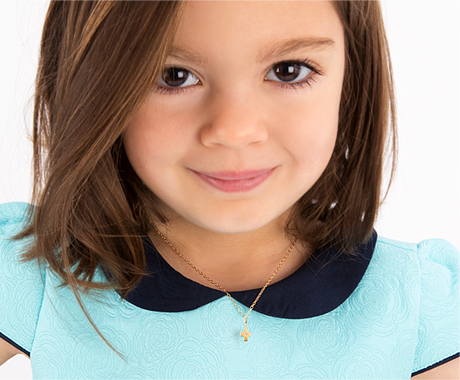 100% genuine sterling silver, this makes a perfect gift for your little princess.